Hey Comic Impact! My name is Paul Cabatu, Jr.
I’ve been cosplaying now for about 4 years. When I started going to conventions I would see other cosplayers dressed and all it took was that one convention to get me hooked and from then on cosplaying has been a part of my life. 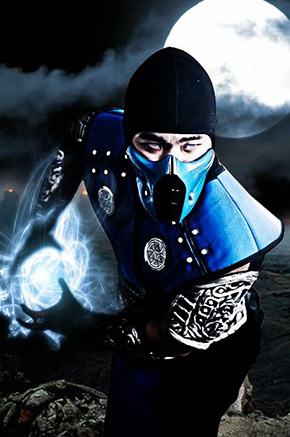 I’m probably best know from my Sub-Zero even though you can’t see my face. 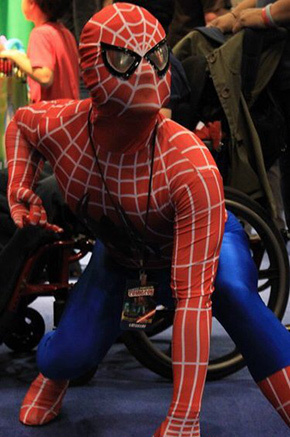 My favorite character is the symbiote spider-man. I love the design because of its simplicity and the strong look. Before cosplaying I knew how to sew because my grandmother was a seamstress. My skills have drastically improved since the early days of slaving away at my singer sewing machine. I have learned how to fabricate with different types of materials such as craft foam, pvc piping, and plexiglass. In addition I improved spray painting skills and even self taught myself to wire lighting on to my cosplay. How long does it usually take and what’s your typical process to complete a costume?Without interruptions and depending on difficulty I can usually complete a costume within one to two months. 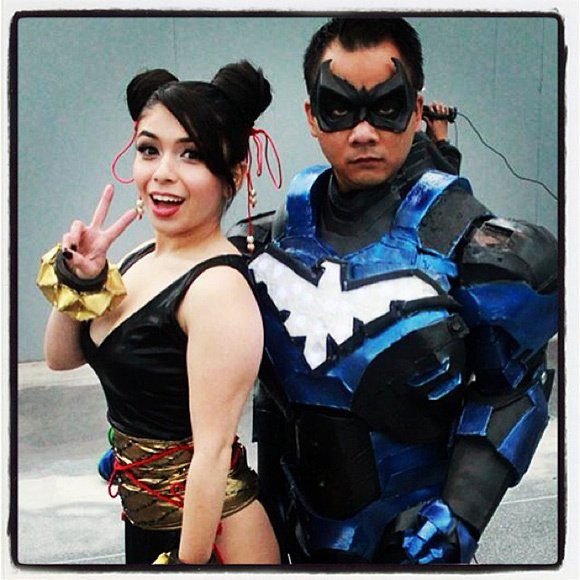 Is there a particular fabric/pattern/accessory that you consider your Achilles’ heel?When making my Iron-Nightwing I worked with fiberglass resin and bondo. Both gave me equal amounts of trouble and headaches. I have yet to meet any artist where my costume was based on their work. I don’t know if it qualifies as funny but it was defiantly embarrassing. In the middle of getting ready for a rave I was in the middle of a cypher breakdancing and in the moment of feeling the music I go into floor back flips and the crowd was hyped until I crashed into the speaker. The moral of that night was don’t drink and breakdance. Do I have to pick one??? If I have to choose it would have to be Batman. My inspirations are my fellow cosplayers. Watching everyone progress and love the challenges that come with the territory get me excited. 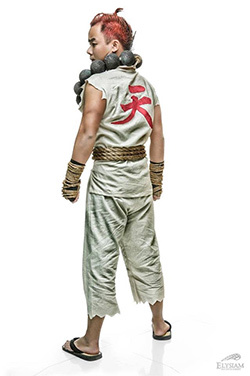 In turn it makes me want to improve and evolve as a cosplayer. 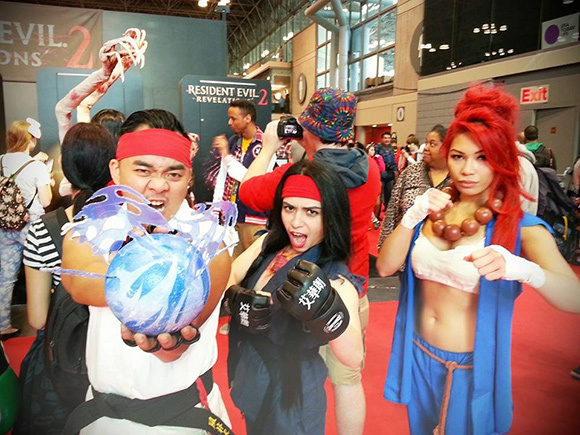 I have cosplayed for Machinima at PaxEast promoting Mortal Kombat Legacy, video game events, as a model for a drink and draw event, and at a Cosplay in America event. When I’m not cosplaying I’m either reading comics, playing video games or going to the gym in my spare time. The best advice I can give to anyone wanting to get into cosplay is to jump right in and try even if it is a simple design. Everyone started somewhere so as long as you love cosplaying that’s all that matters.